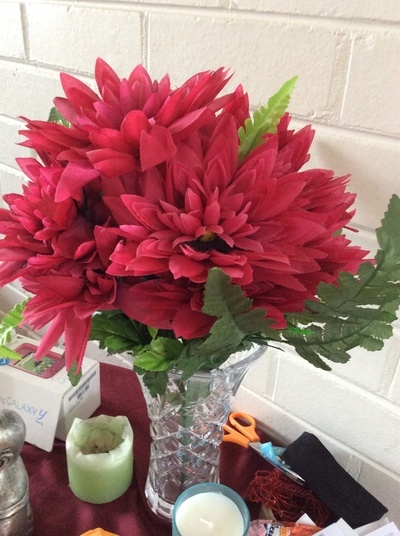 How do you feel about fake flowers? You maybe totally against them, but let me say this: fake flowers provide a decorative piece that won't die and hasn't damaged any of the natural environment. Someone once described to me picking flowers is like chopping off fingers. I was given my very first flower at a music festival last year. 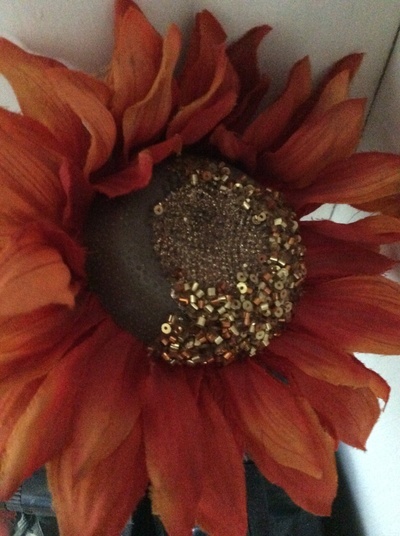 It was a fake sunflower and it was given to me by a woman. I'm sure she expected me to pass it on, but instead I kept it and still have it today. 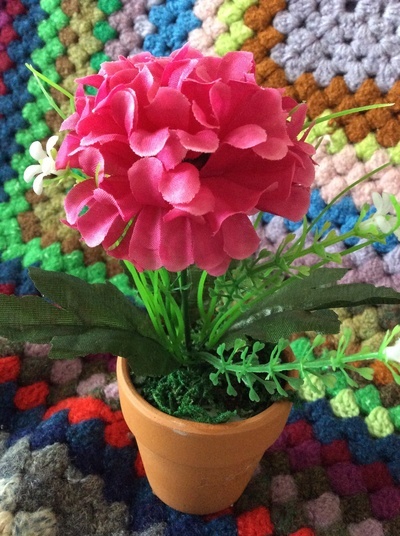 As a house warming present to myself I bought myself a fake pot plant. My history with pot plants is murderous. I travel regularly and can't rely on someone else to look after something for me. I originally placed this pot plant outside, but the strong winds just blew it over. It now lives in my kitchen. Fake flowers are a great life long alternative to the real thing. I'm all for them!